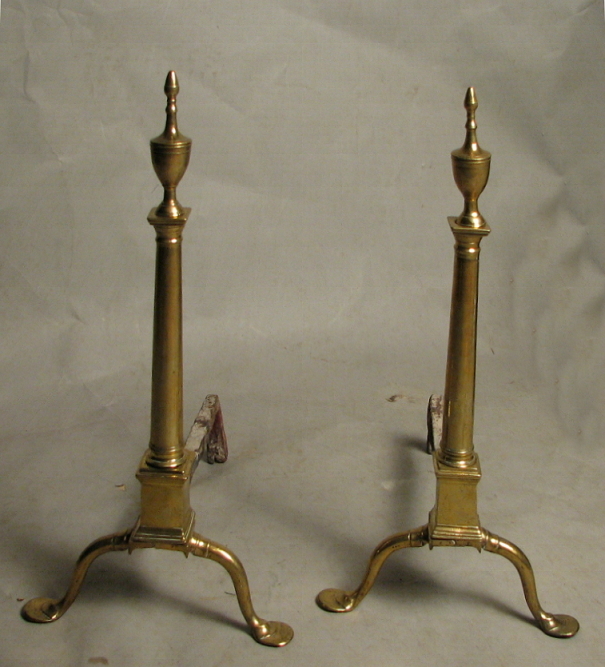 Very fine matched pair of brass columnar form andirons, having urn form finials above tapered columns, set on arched and collared cabriole legs ending in large penny feet. Philadelphia, circa 1800-10. 24" high.